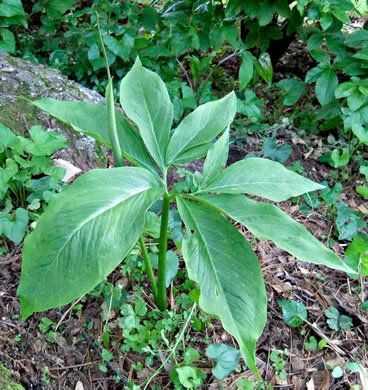 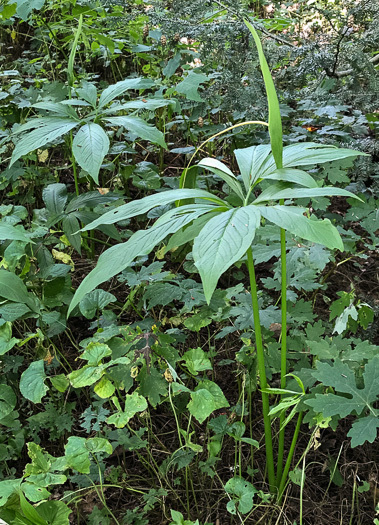 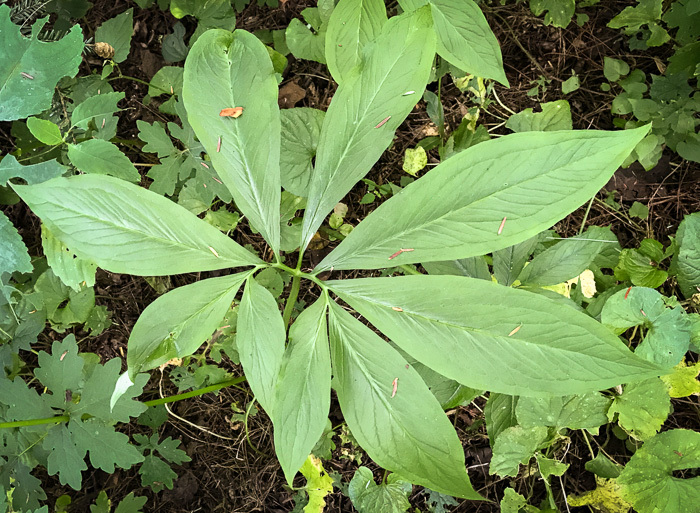 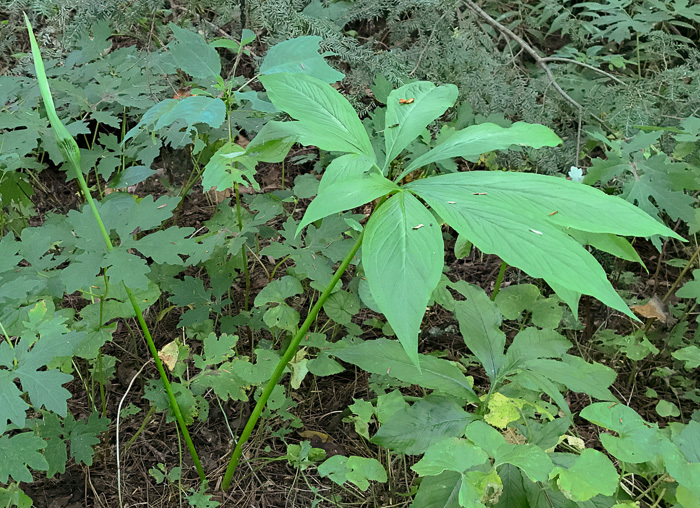 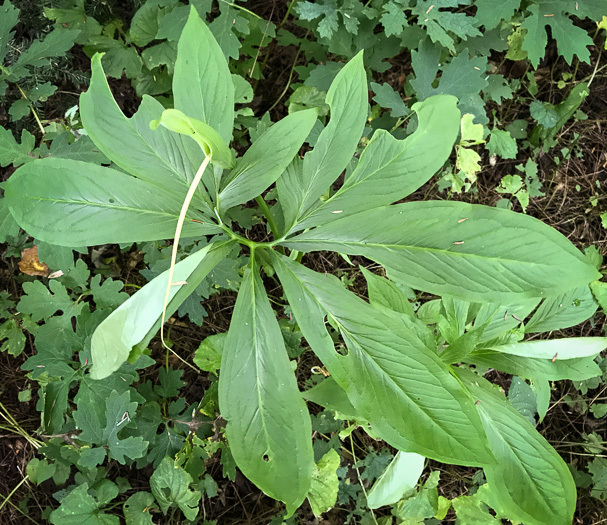 Do you have Arisaema or Pinellia? 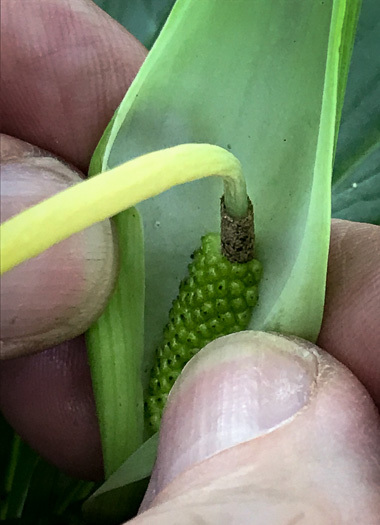 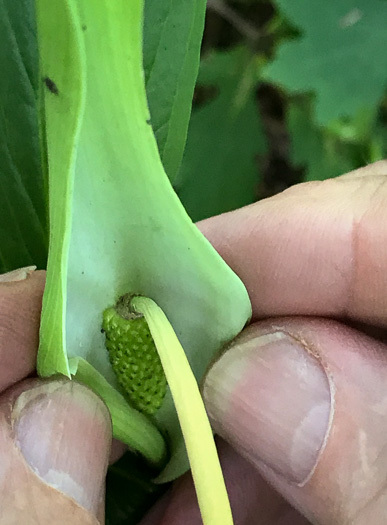 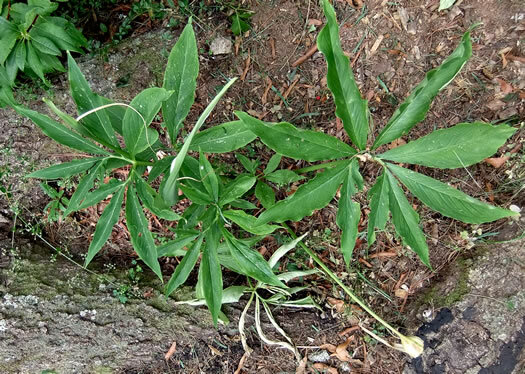 Read more about Pinellia from the International Aroid Society. 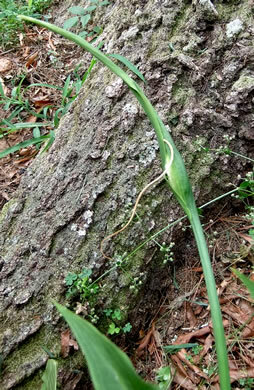 Pinellia flowering stems have no leaves. 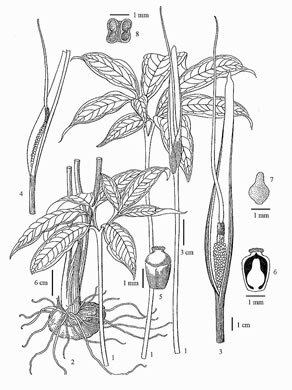 Leaves arise directly from tuber, per International Aroid Society. 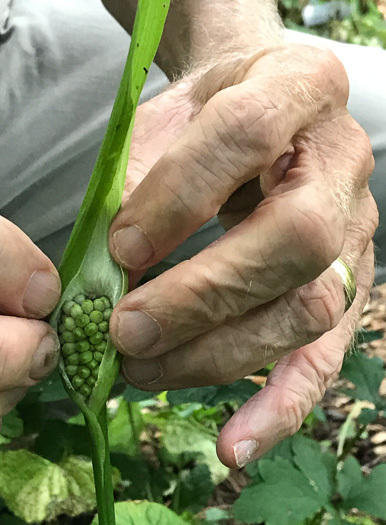 The Pinellia spadix is fused to the back of the spathe for some distance, per International Aroid Society. 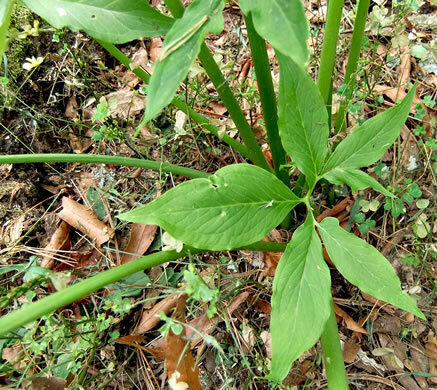 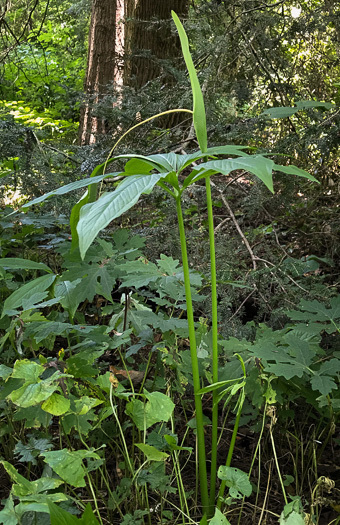 An aggressive exotic whose foliage resembles the native Green Dragon (Arisaema). 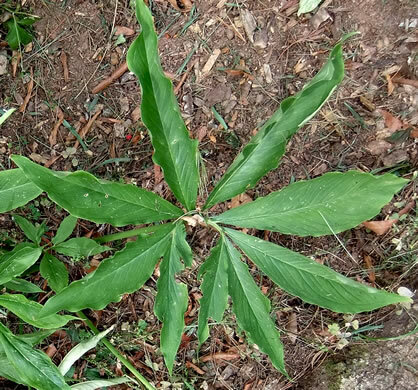 Leaf blade pedate; leaflets 6-11, sessile, lanceolate, base cuneate, per Flora of China. 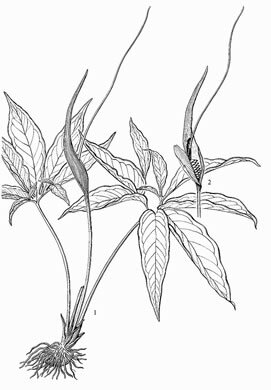 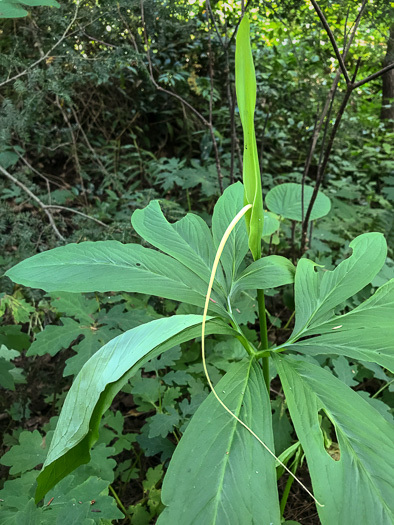 Spathe slightly convolute at base, not constricted between tube and limb, per Flora of China.